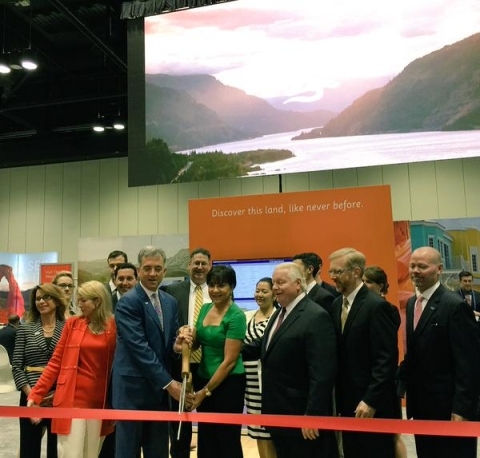 On Monday, Secretary Pritzker traveled to Orlando and spoke at the U.S. Travel Association’s annual IPW event. IPW is the world’s largest travel and tourism trade show dedicated to the sale of U.S. goods and services. During her remarks, she also issued the 2015 Spring Travel Forecast, which showcases America as a premier travel destination with continued international visitation growth through 2020. The Administration recognizes the vital importance of the travel and tourism sector to the economic health of the United States. In 2014, nearly 75 million people from around the world visited the United States, spending about $221.6 billion, on hotels, cars, food, and entertainment, and supporting 1.1 million American jobs. With global competition to attract international visitors rising, the Department of Commerce and the Administration are focused on efforts to keep visitors coming back to the United States. America remains a premier travel destination for international visitors and the Administration is committed to working hard to maintain the best-in-class experiences for all guests coming to our nation’s shores.